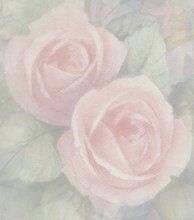 In January 1987 the Golden Gate Rose Society was started at the suggestion of Earl Parsons who called on seven other members of the San Francisco Rose Society to form a second society in San Francisco catering to the working public who would rather have an evening meeting than give up their Sundays with their families. The founding members were: Ed Yesan, Helen Rucker, Dale Rucker, Earl Parsons, Rose Gilardi, Linda Harris, Juanita Raven, Susan Rusher. Ed Yesan was the first President. This enthusiastic starter group had many ideas and goals and was noted for their acceptance, originality, and community involvement. At that time the average age of the eight original members was about 45 years old and they quickly became involved in ARS Local, District and National activities. When the society was only four years old they took on the obligation of sponsoring an NCNH District Fall Conference which was one of the most original and colorful meetings ever. Of the original eight founding members, three have received the District Silver Honor Medal, two have been elected District Director, two have received the Outstanding Horticulture Judges Award for the District, and one has been elected the District Outstanding Artistic Judge. Three are lifetime Consulting Rosarians, one has been President of three different Rose Societies, and two have received an ARS Presidential Citation. Their greatest pride is not just the respect and prestige they have received in the rose world, but the feeling of friendship and welcome you feel at their meetings when you attend.